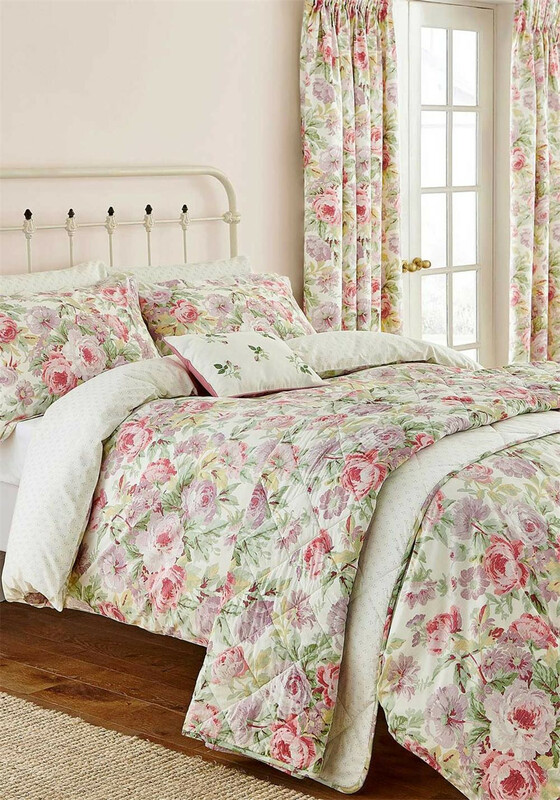 This pretty duvet cover set, in pale pink and lilac colours with a gorgeous floral print on front and with a simple and sweet diamond spot print on the reverse for a choice of two designs. This elegant set from Amelia Rose Collection at Sanderson Options comes with matching pillow case. 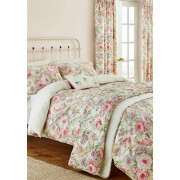 Make your bedroom bright yet homely with this pretty set with matching throw and cushion. Pillow case Included.